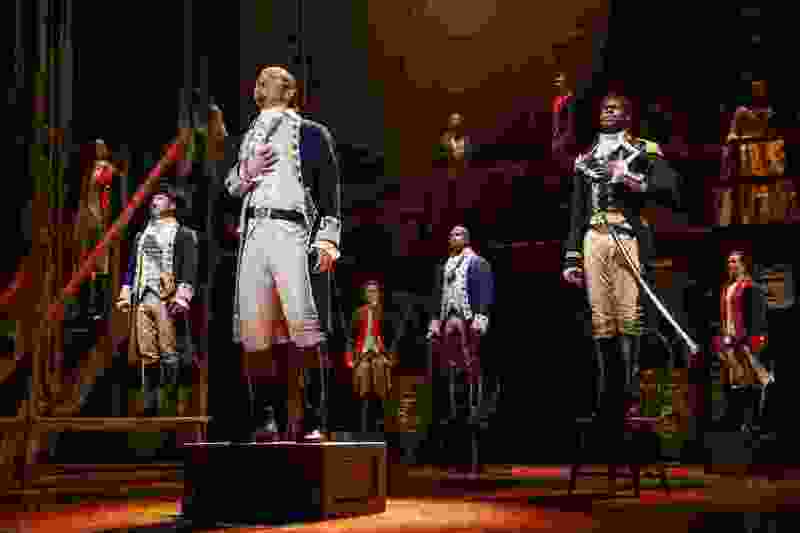 It wasn’t pistols at dawn at Weehawken, but the actor portraying Alexander Hamilton in the touring production of “Hamilton” at Salt Lake City’s Eccles Theater threw down the gauntlet at Utah theatergoers via Twitter. What got Joseph Morales riled up? Patrons looking at their cellphones during Sunday’s matinee performance. Most people responding to Morales’ tweet expressed outrage that anyone would be looking at their phones rather than watching Morales and company deliver Lin-Manuel Miranda’s Tony-winning hip-hop history lesson. One tweeter wasn’t impressed with Morales’ ire. “Jazz in the NBA playoffs … deal with it. You’re not the biggest show in town,” tweeted Tim Ormond, a Utah Jazz fan who was watching Sunday’s NBA playoff game between the Jazz and the Houston Rockets. Jazz in the NBA playoffs....deal with it. You're not the biggest show in town. “It was 100 percent in jest, just a snarky little comment,” Ormond told The Salt Lake Tribune on Monday. Ormond, owner of the translation business InSync Interpreters in Sandy, said he felt blowback from his tweet. People have attacked him on Twitter, he said, and posted fake negative reviews on his business’s Facebook page. The run of “Hamilton” is in its final week at the Eccles, with evening shows Tuesday through Saturday, and matinees Saturday and Sunday. Wednesday’s show will coincide with game 2 of the Jazz-Rockets series in Houston, while Friday night’s show will run the same time the Jazz host the Rockets in game 3 at Vivint Smart Home Arena. The “Hamilton” cast has shown support for the Jazz, with several actors taking advantage of the show’s night off to attend last Monday’s game against the Oklahoma City Thunder. Salt Lake City isn’t unique in having lapses in phone etiquette in the theater, said Karen Azenberg, artistic director of Pioneer Theatre Company. “It happens in New York, I don’t want to say regularly, but with some frequency,” Azenberg said. In New York, she said, phones are often a sign of theatergoers trying to record the show, which is illegal. Azenberg said cellphone etiquette should be observed, whether in the theater or at the dinner table. “My hope is that it’s actually encouraging the world to pay attention to the thing you’re doing at the moment,” she said.